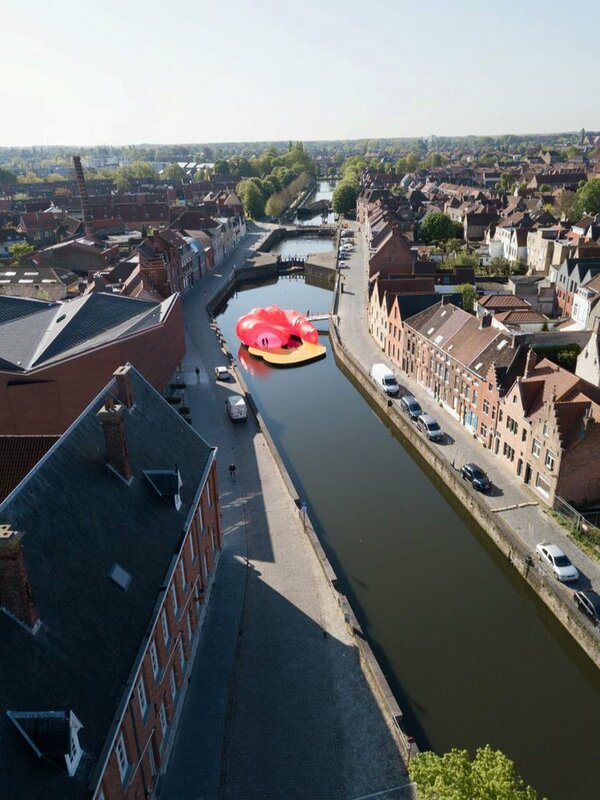 In 2018, the Triennale settles for the second time in Bruges. 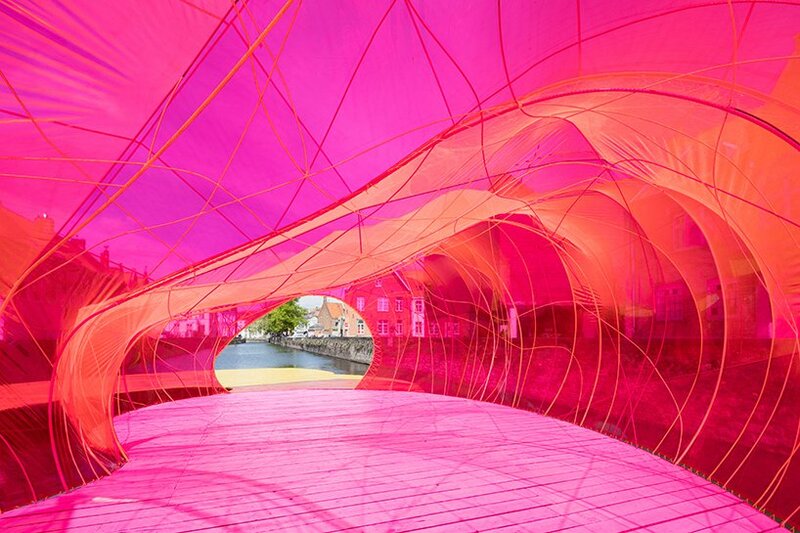 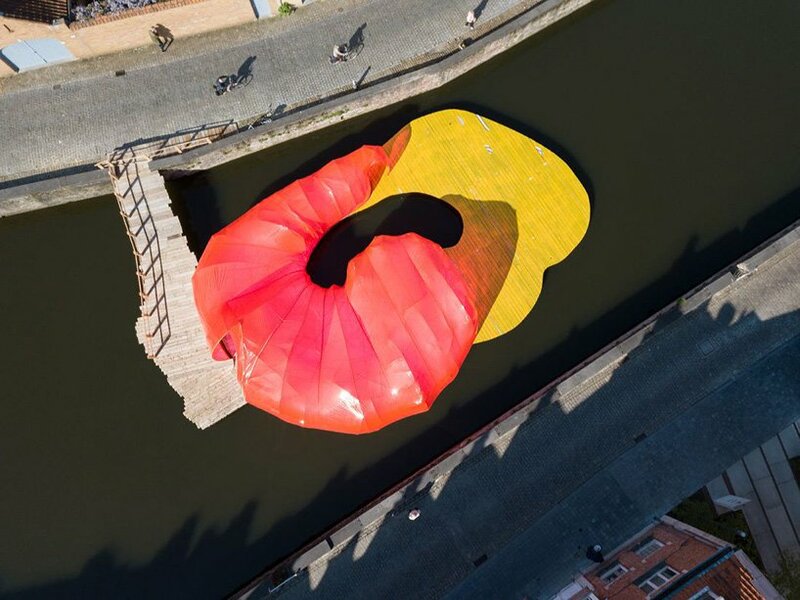 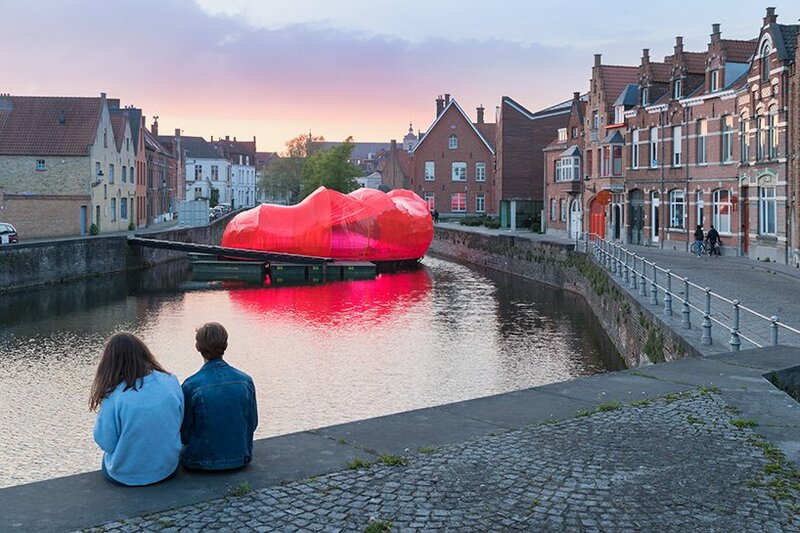 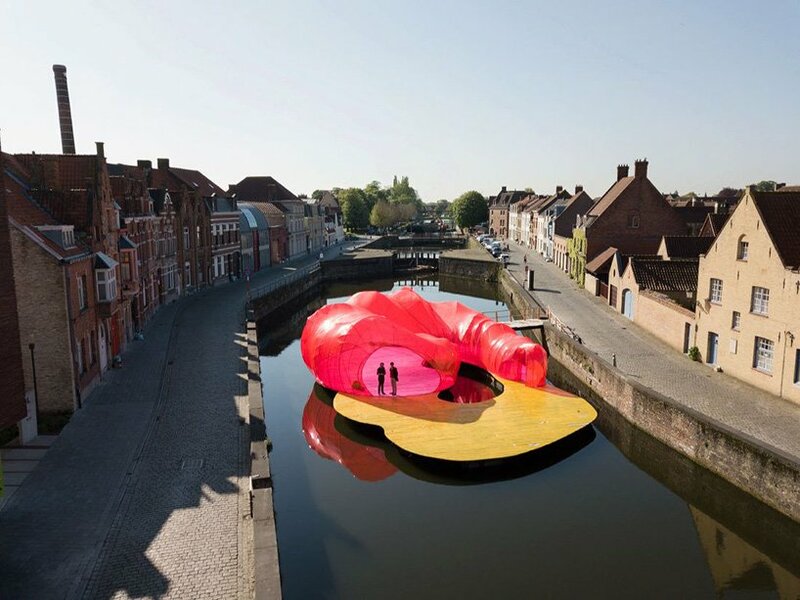 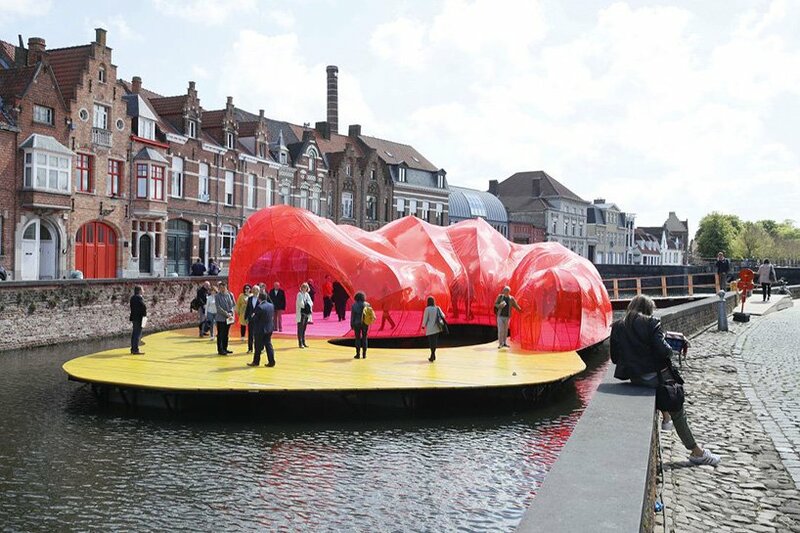 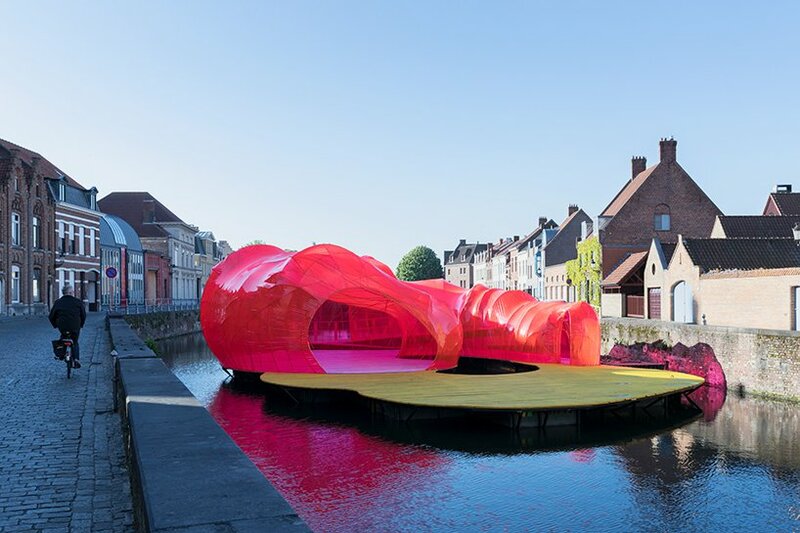 The contemporary art trail, with surprising installations by world-renowned artists and architects, unfolds throughout the historic center of Bruges. 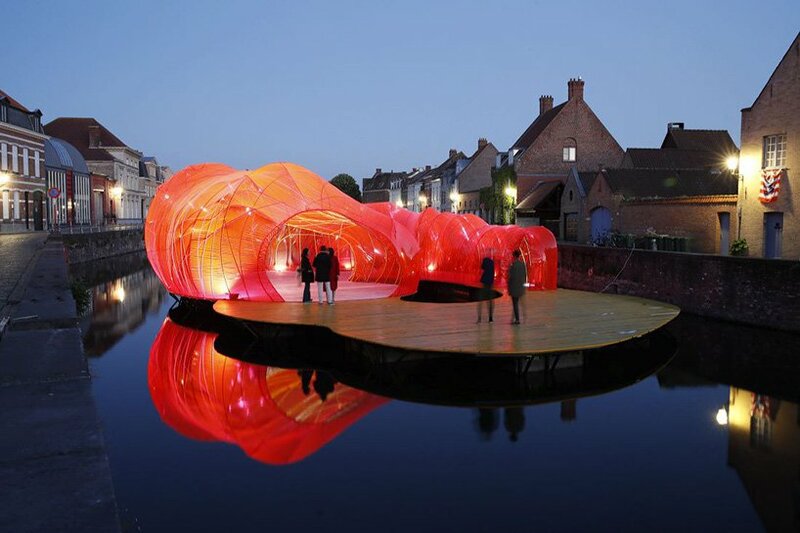 One installation in particular caught our attention, the work of the Spanish architects Selgascano, as a peaceful retreat at the water’s edge. 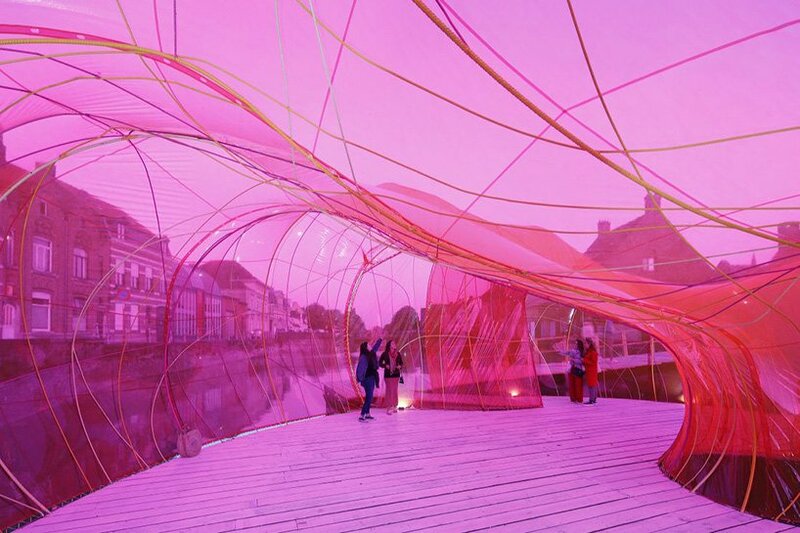 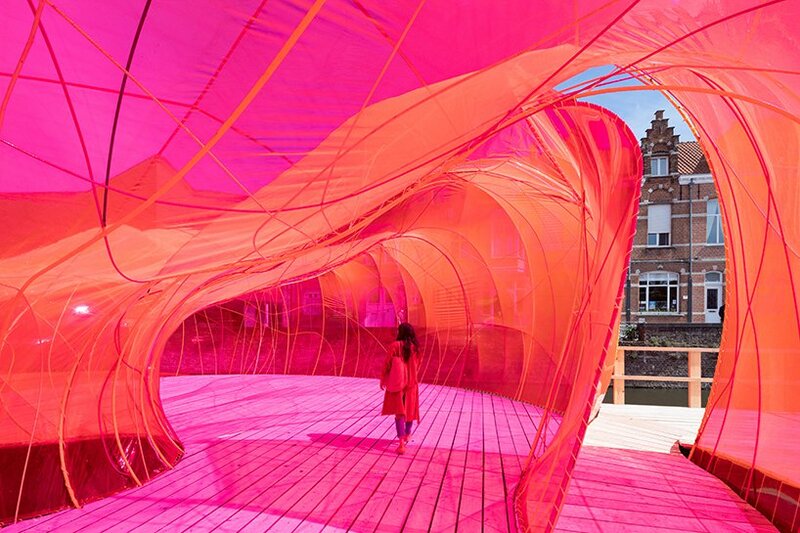 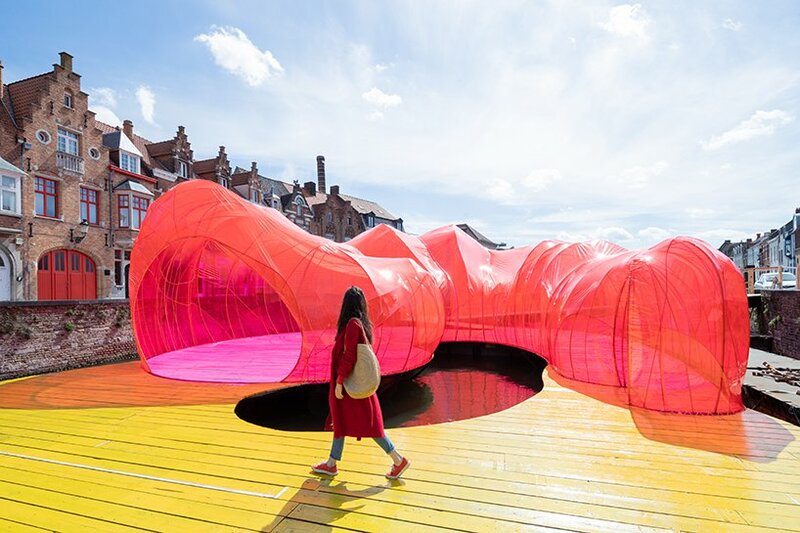 Photographed here by Iwan Baan, the structure forms a habitat of organic form with semi-translucent pink and orange walls.